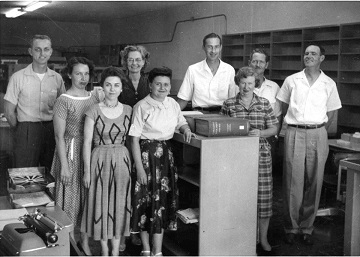 The CSUN Librarians Legacy Endowment was established by an anonymous donor in honor of CSUN librarians' continued success in meeting the growing institutional challenges and technological opportunities that accompany academic research and librarianship. When fully funded, this endowment will support a paid internship for Collection, Access and Management Services (CAMS), in recognition of CSUN librarians' ongoing achievements and in remembering the careers of recently retired and departed Library faculty. The purpose of this page is to honor the legacy of librarians who have worked at California State University, Northridge. The criterion for being listed on this page is to either have retired from CSUN as a member of the library faculty or to have passed away while serving as a tenure track or tenured librarian.